Dwell is chosen as a preferred vendor because we are reliable, reputable, capable, and honest. In addition to our quality construction and outstanding customer service, our knowledge of the insurance claims process creates happy customers, ensuring your client retention. When you refer your customers to us, we will inspect the property to ensure there is sufficient damage to file a claim. We will also set expectations based on damage that can be handled outside of the insurance process such as wear and tear, rot, etc. You will save money by retaining happy customers that know you have gone above and beyond to look out for their best interest. Our Pre-claim Inspections Benefit Homeowners and Agents. A huge benefit of working with Dwell is that our owner, Jesse Summerlin, has an insurance background and is highly knowledgeable regarding the coverage of a property insurance claim. 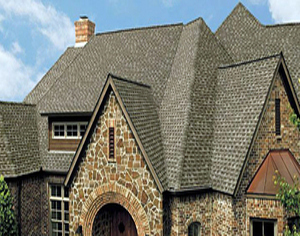 Every assessment for roof damage is performed the exact way an adjuster would and includes a detailed summary about exactly what we discovered during our onsite evaluation and photos. We will help determine if the damage would meet or exceed your customer’s deductible or if the damage is even likely to be covered before they file a claim. We will assess damage, educate your customers, and help them determine if filing a claim makes sense or not. “Why do I pay for insurance when it doesn’t cover anything! ?” — Every Angry Customer All insurance agents occasionally have unhappy customers who complain the insurance agency isn’t helping them out or paying out. When you use Dwell, and we determine the amount of a customer’s damage either will not exceed their deductible or won’t likely be covered, our team will help set expectations and recommend cost effective solutions ensuring happy informed customers. Dwell is a skilled intermediary working on your behalf. Our goal is to keep your customers happy by educating and presenting solution-based options. Thanks to Dwell’s status as a full-service roofing and exterior company and insurance expert, Dwell oversees every aspect of your customers’ experiences. If a customer insists he needs to file a claim and you send Dwell for an assessment, we can help explain what will and will not be covered and recommend the smartest approach for each homeowner’s unique situation. When customers call insisting they need to file a claim, always ask, “Has your property been assessed by a professional?” If it has not, explain why they need to have their home inspected by Dwell first. You all have probably heard the horror stories that can come with roof repairs, especially by those companies that seem to pop up overnight and come out of the woodwork after hail storms. I was dreading going through the process, that is until I met the folks at Dwell. Some of the most professional contractors I have ever met, and the entire process was made painless and easy! Such a great, ethical company! Highly recommend to anyone needing a new roof! Great job Dwell! We conduct our onsite assessments within 72 hours of your call, often same day, depending on circumstances and homeowner necessity. They tell us what time and day is best for them, and we make it work according to their schedule.